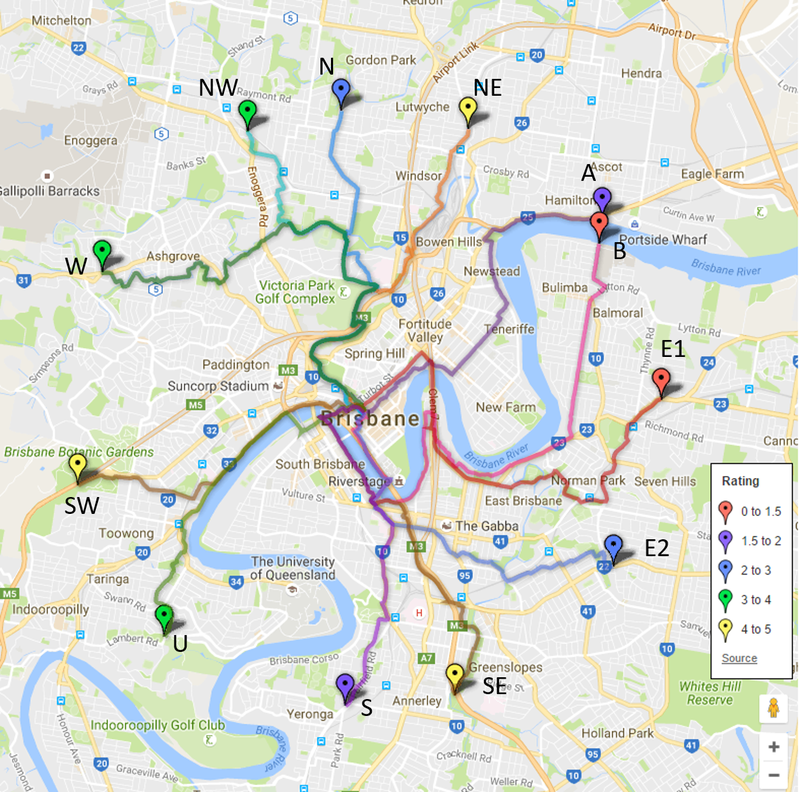 Brisbane City Council recently published their Transport Plan for Brisbane – Strategic Directions. We’ve tried to digest what it means for cycling. “We need to build our agility so we can embrace innovation and new technology”. Apparently “we are taking a radical new approach to transport planning; one that focuses on how our transport network supports citywide outcomes, rather than just on the modes that get us from A to B.” Those citywide outcomes are liveability and economic prosperity. Which has us asking: alternative to what? Why are walking and cycling, the only really sustainable transport modes, always seen as an alternative to the dominant way of getting around (by car). The car really should be the alternative – when you need to carry heavy items, or when you need to travel a very long distance. Normal should be walking and/or cycling, perhaps in combination with public transport. Through the new Transport Plan for Brisbane – Strategic Directions, Council will apparently deliver “farsighted, innovative and people-focused transport planning for Brisbane’s future.” We like the sound of the people-focused aspect, even it the rest sounds like buzz-word bingo. we need transport that means … freight, can get where it needs to go on time, particularly to and from our port and airport. we must offer tourists a great experience of getting around our beautiful city. Our city streets must balance* traffic with safe, comfortable, uninterrupted journeys for walking and cycling, especially around the CBD’s retail heart and leading to universities, stadiums and entertainment venues. Walking and cycling networks are affordable, enjoyable and healthy ways to get where you need to go. Our vision is for even more of them! Fast, frequent and reliable public transport services should be the foundation of that network. These should complement active transport options. Getting more people onto our active and public transport routes is the best way to keep our air clean, reduce our carbon footprint and support better community health. Our transport solutions will minimise impacts on the environment – maximising energy efficiency and reducing emissions and pollutants. And one perhaps less directly impacting cycling …. Driverless cars, drones, automated logistics, global transport apps and other exciting new technologies have the potential to fundamentally change our transport future. So The Vision offers something we could get excited about – if we can put our skepticism aside. What about The Plan? That will be the subject of our next post!